Ethiopia’s speaker of parliament and another top official of government have reportedly rescinded their resignation from government. According to the state-affiliated FBC, the two had agreed to return to their posts after high-level talks by the Executive Committee of the ruling Ethiopian People’s Revolutionary Democratic Front (EPRDF). Speaker Abadula Gemeda tendered in a resignation in October this year basing his decision on the government’s handling of a border crisis between Oromia and Ethiopia-Somali states. Gemeda’s resignation was not accepted at the time with Prime Minister Hailemariam Desalegn stating that there were talks with him to rescind his decision. Earlier this week, the Addis Standard portal reported that the resignation had been accepted. Gemeda, a former president of the Oromia state stepped down from his speaker duties over the period but maintained his position as a legislator. 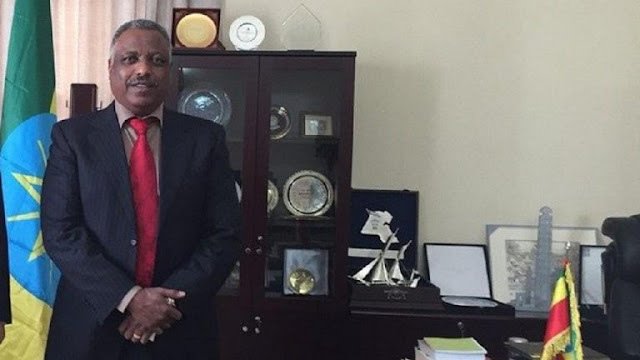 The other official is Bereket Simon, a top advisor to PM Desalegn, he tendered in a resignation two weeks after Gemeda even though Desalegn at the time told lawmakers that the two resignations were not connected and needed to be taken in context. Bereket, a former information minister and until his resignation an advisor to Desalegn in charge of Policy Studies and Research Center, had his request granted. It is not known under which arrangement the same resignation has been rescinded.